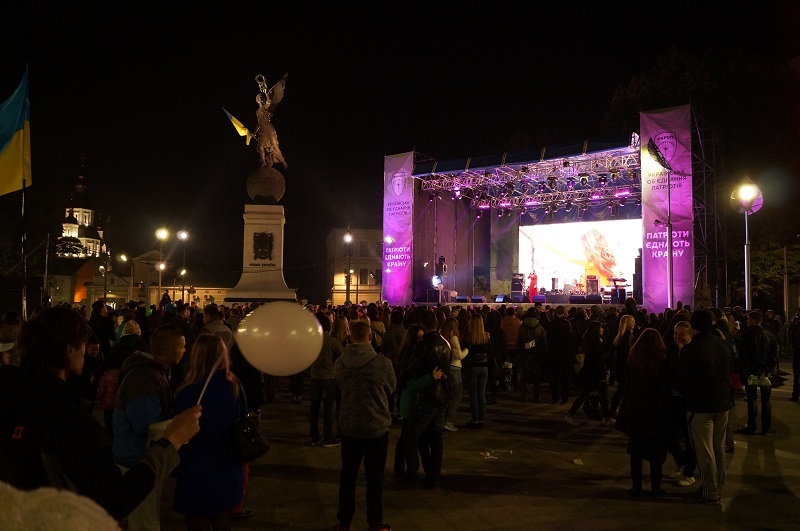 On October 17th a concert within the framework “Patriots unite the country” was held in Constitution Square in Kharkiv under the patronage of “Ukrainian patriots association – UKROP”. 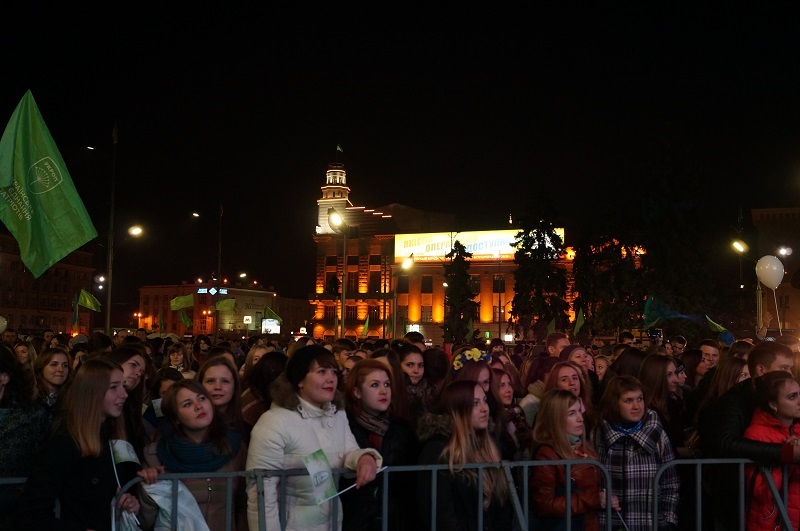 “Patriots unite the country” is a Ukrainian tour with the support of “Ukrainian patriots association – UKROP.” More than 40 cities of Ukraine are considered to hold concerts of famous local artists. 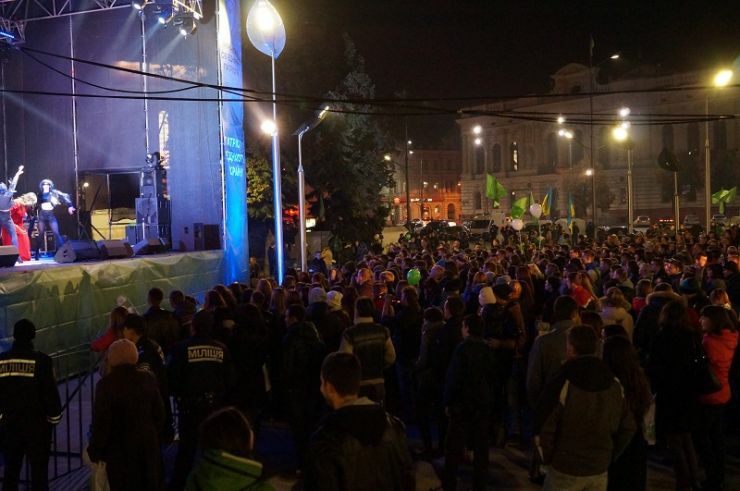 Kharkivens were listening to music from the “Made in Ukraine” band, Natalka Karpa, and the headliner of the event was a group called “Antitila/Antibodies”. 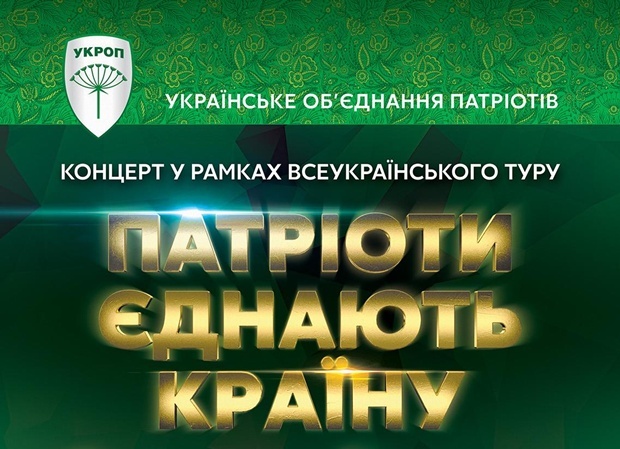 During the concert, the chairman of the Kharkiv regional organization of the party “Ukrainian Patriots association – UKROP” Vitaliy Miroshnikov presented the team of the party. Addressing to Kharkivens he noticed that there are new faces in the composition of the party: businessmen, students, volunteers, and social activists. According to the organizers, the aim of the tour is to unite all patriotic citizens, regardless of nationality, language, religion, or occupation. “A strong and independent country could only exist when its people are unified and strong. And what can unite better than music, which is the universal language of the world?” said the organizers. The artists also called citizens to make the conscious choice. In their repertoire were both time-tested hits and contemporary patriotic songs. Kharkivens especially welcomed with open arms the band “Antitila” who presented their new album “Everything is beautiful” at the concert. However, citizens did not want to let artists go. So much that the announced one hour performance was prolonged for almost an additional one hour. Next articleLast week of the Feldman Art Park exhibition is running out: hurry up to see the showpieces!